Hawk® EMS – モニタリングシステム | International Medcom, Inc. 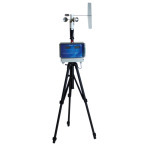 The Hawk® EMS is a wall or tripod-mounted radiation monitoring and alarm system designed for use with the Hawk® Radius radiation probe (sold separately). The Hawk® EMS features two displays that show the radiation levels measured by each of the probe’s two detectors: the “pancake-style” Geiger-Mueller tube — which measures alpha (if configured for it), beta, gamma, and x-radiation — and the energy-compensated gamma tube. The probe can be mounted nearby or set up in a location up to several thousand feet away, indoors or outdoors. 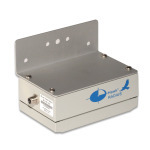 The Hawk® EMS is targeted for applications requiring continuous monitoring and alarm capability for radiation levels exceeding a user-defined maximum. Typical applications include HVAC building air intake monitoring, hospital environments, medical imaging facilities, scrap metal processing, scientific research facilities, building entry points, and warehouses. The system is designed to be low cost and serve as a “tripwire” to warn responsible personnel of potential hazard. As such, it does not provide isotope identification or extreme sensitivity. 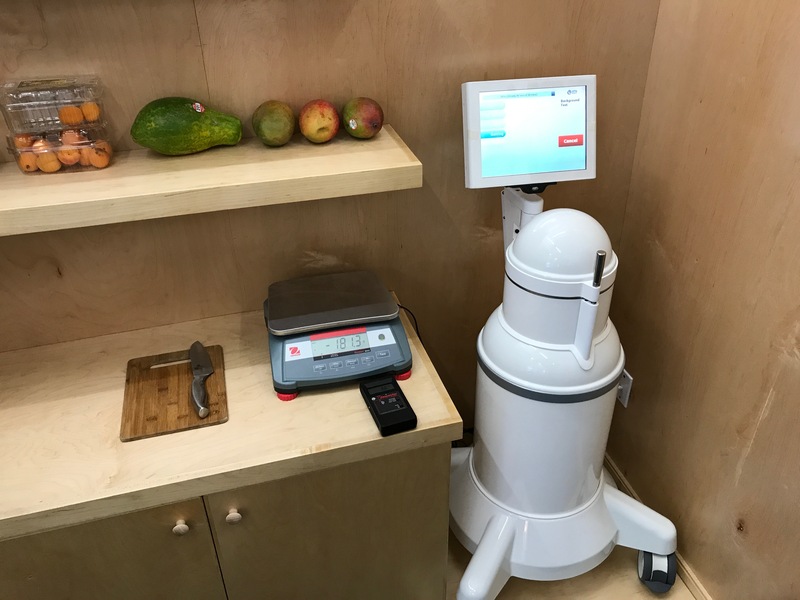 It can easily detect a small increase from the background radiation level within 30 seconds, and provide an indication if the source is purely gamma/x-ray, or whether it also contains beta and optionally alpha particles. The Hawk® EMS can be used as an area monitor, environmental monitor, portal monitor, entrance monitor, building monitor and perimeter monitor. It optionally can be used to shut down air intakes on a building with an external adapter that samples air from the air intakes. 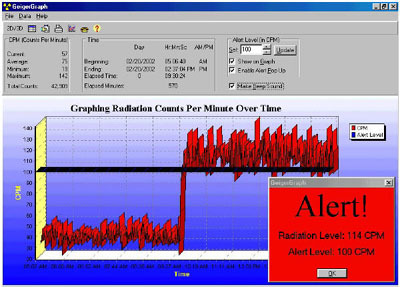 User settable ALERT functions provide audible and visual warnings within seconds after a change in radiation level. An optional output can control external devices when an alarm occurs. The attractive wall mount enclosure can blend into an office environment, but is suitable for industrial and security applications. A secured access panel controls all functions and is available with tamper resistant fasteners. Cables can be routed through the back wall, or through the bottom panel. Control Panel allows setting the alert level for each detector, power switch, mute alarm function, and access to interface cables. Our versatile and talented engineering team has extensive experience in designing scientific and medical instruments. We have expertise in sensor, analog, digital, microcontroller, and radio frequency design for hardware, software, and mechanical product development. We have all the latest tools to develop and produce instruments in quantities of a few or 10,000 pieces, including CAD with 3D modeling and CIM (computer integrated manufacturing) with surface mount technology. 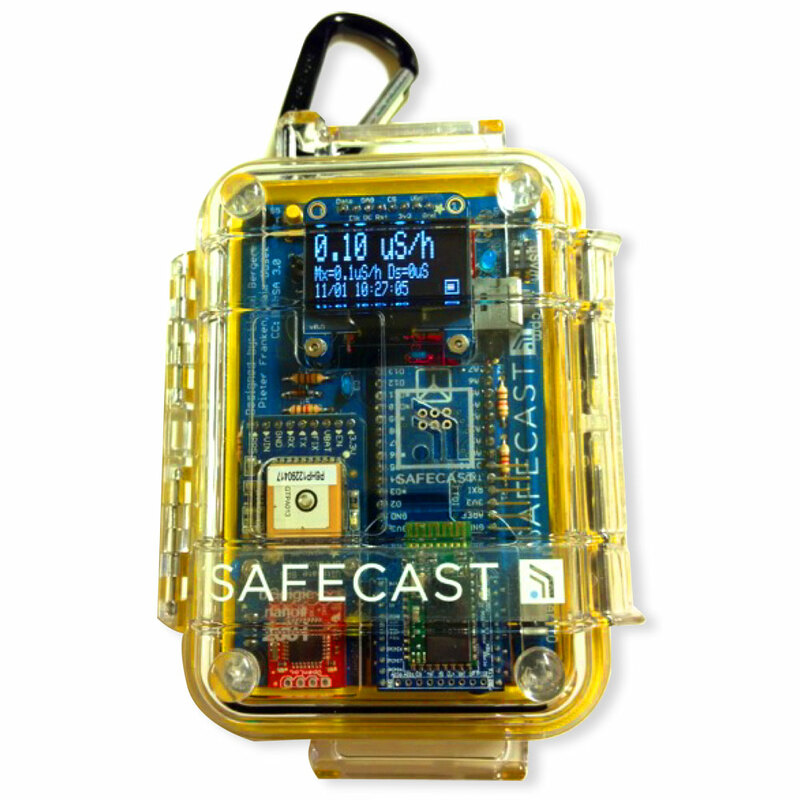 Our environmental monitoring systems automatically collect and analyze radiation, meteorological, and other data. We can customize systems to include: data collection by radio, telephone lines, LAN or WAN; automated data analysis; automatic paging when preset thresholds are exceeded; automatic integration of data into a GIS (geographical information system) map; integration of GPS data; and custom sensors. We are an authorized developer and business partner for Environmental Systems Research Institute’s Arcview GIS software. International Medcom, Inc. originally developed the Vista Environmental Monitoring Systems for the community radiation monitoring networks surrounding the Seabrook nuclear power plant north of Boston, Massachusetts and at Three Mile Island in Pennsylvania. The Community Monitoring Network in Massachusetts uses the Hawk® Radius radiation probes & our custom-designed computer software. 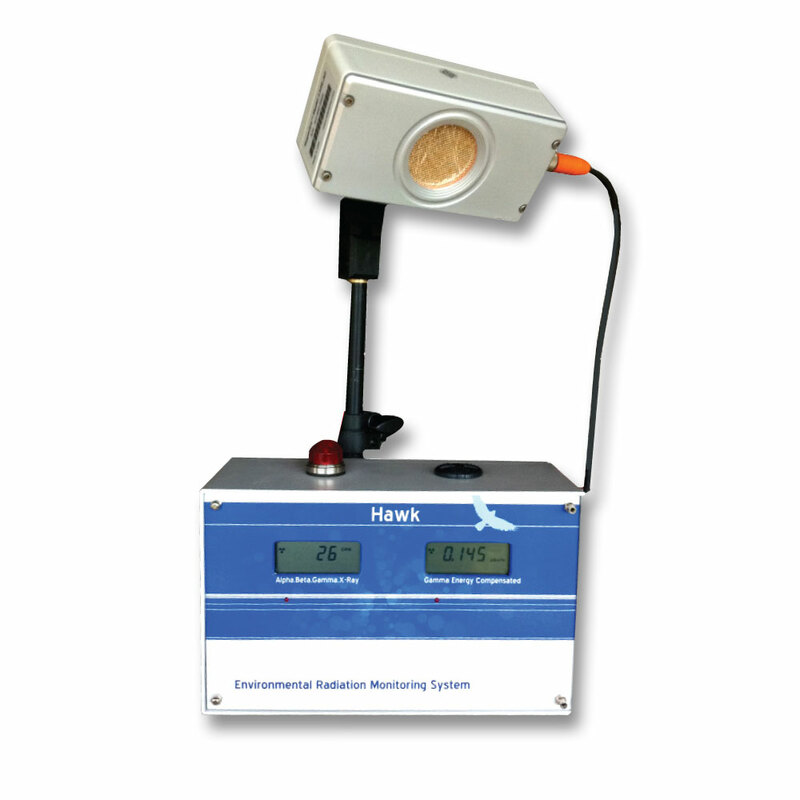 Please Contact Us by phone or email for information on ordering the Hawk® EMS and Hawk® Radius Probe monitoring system. Averaging Periods: Display updates every 3 seconds, showing the average for the past 30-second time period at normal levels. The averaging period decreases as the radiation level increases, as fast as 3 seconds at high rates. Power: AC wall-mount adapter standard, with battery backup. 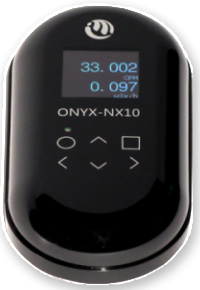 Greater than 1000 hours battery life with Lithium 9v battery. Low battery indicator. Grounding: Earth ground connection point provided for internal lightning suppression, all system signals relative to this ground point. 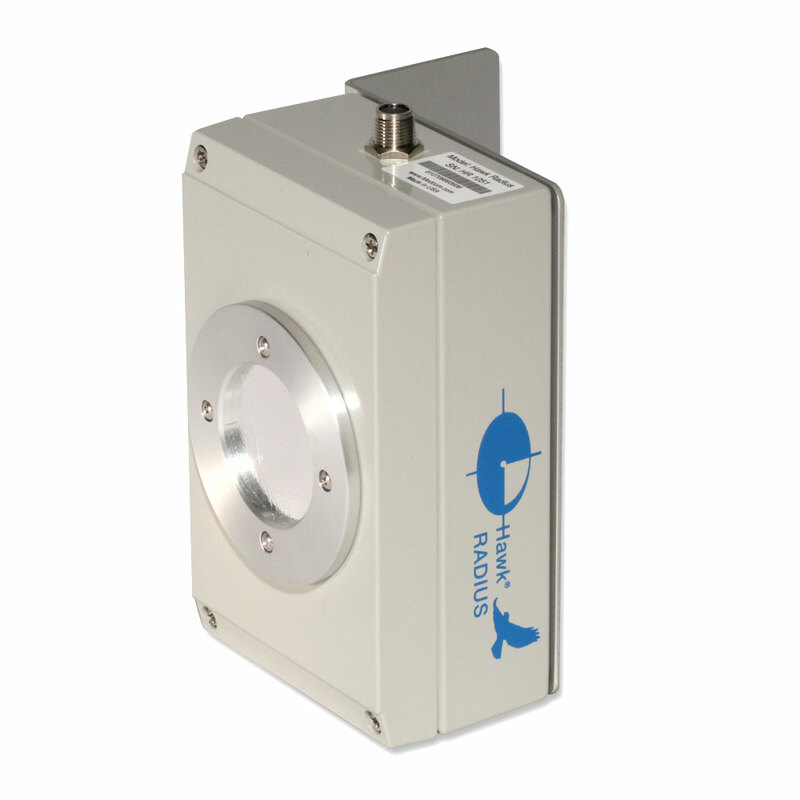 Outputs: Detector pulses are available for external data logging or analysis. Alert indicator provides 12V output to activate relay for controlling external power devices, relay is optional. Can be used to activate security devices or cameras, close air intake or water valves, lock doors, and perform other functions. 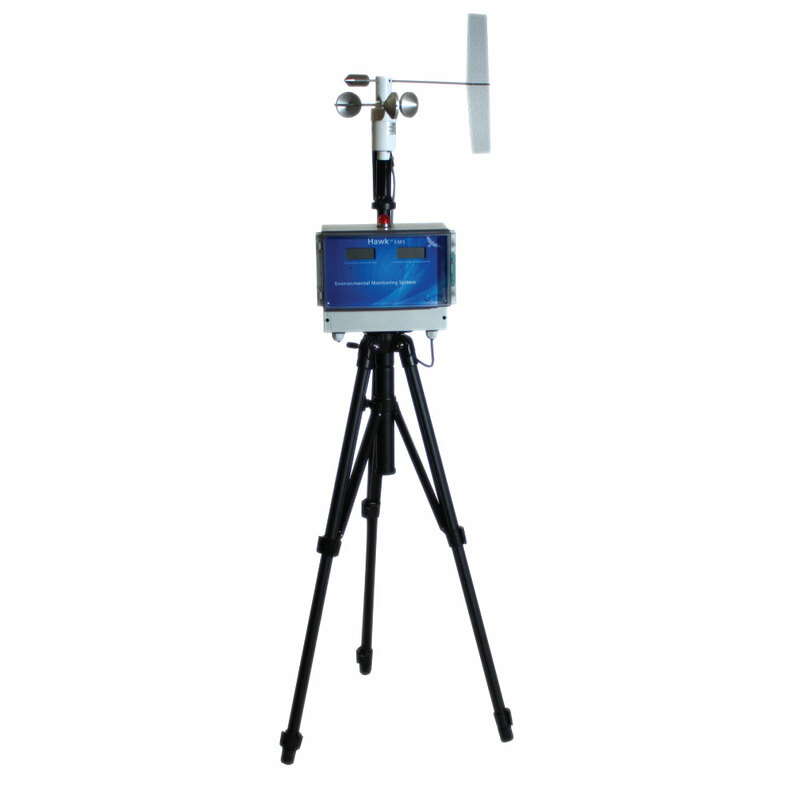 The Hawk® EMS is a wall or tripod-mounted radiation monitoring and alarm system designed for use with the Hawk® Radius dual sensor radiation probe. Each EMS System comes with a Hawk Radius Probe. The system is extremely energy efficient and can run for weeks on an internal 9 volt back-up battery if power fails. It is well suited for operating on a small solar panel, which is an optional accessory. The Hawk® EMS features two displays that show the radiation levels measured by each of the probe’s two detectors: the weatherized “pancake-style” Geiger-Mueller tube — which measures alpha (if configured for it), beta, low energy gamma, and x-radiation — and the energy-compensated gamma tube which measures penetrating gamma dose rate. The probe can be mounted next to the EMS system or outdoors, or in adjacent rooms on cables up to 100 ft in length. Standard cable is 3 meters in length. Optional signal booster can support cable lengths longer than 100 feet. Optionally the system can also be configured to share data on ethernet or wireless networks. The Hawk® EMS is designed for applications requiring continuous monitoring with an alarm capability. Both visual and audible indicators were designed to provide effective and timely warning when adjustable threshold conditions are exceeded. Typical applications include environmental monitoring, public health protection, public safety, border or portal security, event safety, perimeter security, scientific inquiry, nuclear arms control and regulatory compliance. 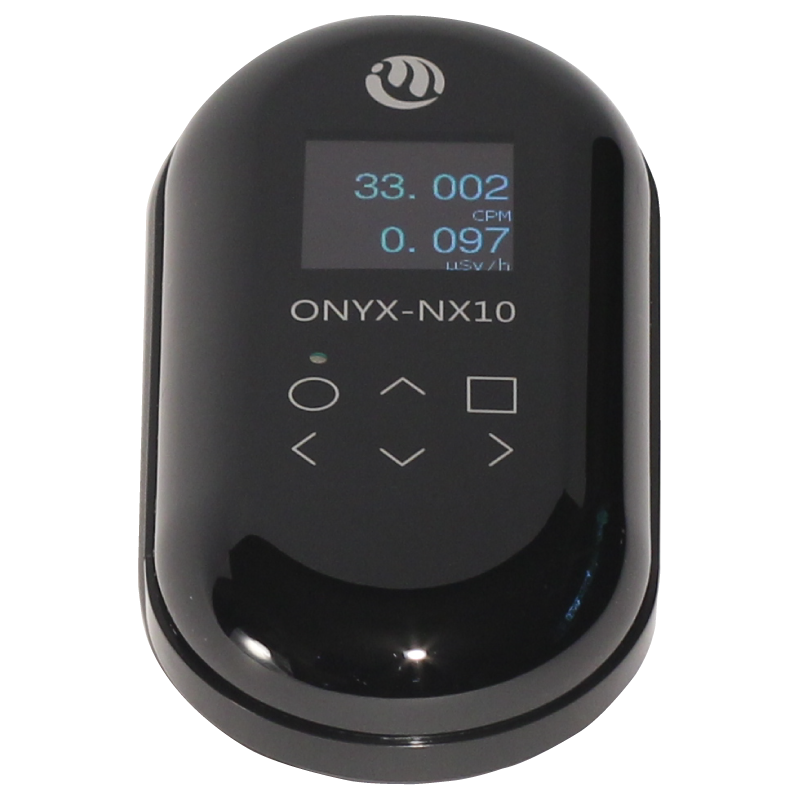 Its sensitivity to Xe-133, Kr-85 and a variety of medical radionuclides make it ideal for nuclear medicine departments, hospitals, and pharmaceutical industry applications. The Hawk EMS can also be configured to control HVAC air intake in buildings to prevent contamination in the event of a nuclear event. The system is designed to be highly effective at relatively low cost. Warranty covers overall system for 2 years. GM sensor warranty is limited to 1 year.